Summer break is officially in full swing here, and we’ve got the hot temps in California to prove it. How else do I know school is out? Well, the presence of my two munchkins at home all day long is a good indication as well. While I don’t have as much time to wear my author hat during the day, I don it every night after my family goes to bed. I’m currently working on revamping my very first Christian contemporary romance series for a relaunch, as well as getting ready to release book 2 in The Spark Brothers series. Speaking of the Spark brothers, I recently decided to redo the covers for this series, too. Even though I enjoy doing artsy things, I think I’m better at creating stories, not cover images, so I found a professional to do them. Here are the new and improved covers for A Single Spark and A Sudden Spark (coming this month)! Now that I’ve shared about some of the hats I wear, I’d like to hear about yours. Please tell me in the comments below! Giveaway: I’d like to give away a $5 Amazon gift card. One winner will be randomly chosen from the comments below. The giveaway will remain open until midnight on Wednesday, July 25th. Let’s see… I’m a wife, a cat servant (we have 2), a niece (my 93 year old aunt lives across the driveway from us), the registrar for our church’s summer family camp and fall seniors retreat, and I like to send out birthday cards to family and friends. Hi Margaret! A cat servant—I love that! ;) We have lots (over a dozen) stray cats in our neighborhood that everyone feeds, so I suppose we are cat servants, too. Thanks for commenting! 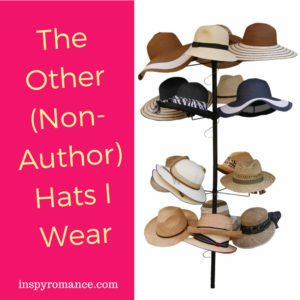 I wear similar ones, though not the author hat. I’ve been wearing a work hat, a chauffeur hat, a swim team mom hat (though I’ve hung this one up for the season yesterday), a kid entertainer hat, and a referee hat. Oh, and my reader hat. Can’t forget that one. Hi MJSH! Those do sound similar! I also forgot my reader hat (probably because there’s just not enough time to read these days). Thanks for commenting! Hi Wemble! Hmm, do you mean the first photo? 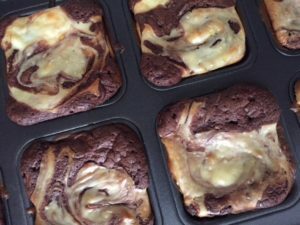 Those are actually black and white brownies. 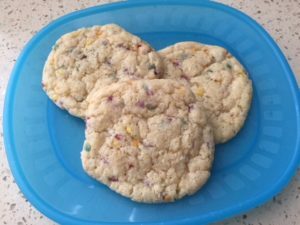 :) The second photo is of sugar cookies with sprinkles. I like it that you listed counsellor, teacher, and listener hats. Those are definitely important roles. Thanks for commenting! Hi Liwen! What a delightful entertaining blog. Even as a retiree I wear many hats. I wear the wife hat, the senior dog care hat, the grandkid day care hat (which includes story reader, entertainer, favorite meal prep, snack provider), the mom hat, the reader hat, and reviewer hat. Blessed to finally receive some rain in Michigan with cooler temperatures. Enjoy the summer. Kids will be back to school soon. Hi Renate! Those are some great hats you wear, especially the story reader one. I remember those days well. :) Yay for cooler temps! Thanks for commenting! Hi Michelle! Yay for book reviewers! I know that’s one hat authors are so appreciative of. Thanks for commenting! Lol, 15 years later and I am still there… wearing the same hats, but I now have my own assistant!! Hi Paula! Whoa baby, those are a lot of hats for one person! So glad you have your own assistant now. :) Thanks for commenting! Hi Kim! Thank you so much! I love them, too. :) Thanks for commenting! 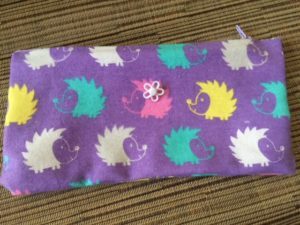 Fun question….and love your covers! Wife, Mom, Grandma, Friend HAT! Hi Jackie! Thanks so much. I’m thrilled with the covers, too. :) Thanks for commenting! I’m interested in who you used for your covers? I’m always wondering who does book covers. Hi thequeenofquitealot! What a fun profile name. 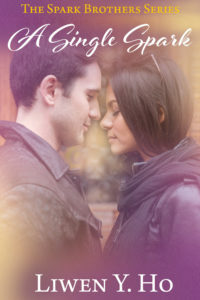 :) My cover designer is Victorine Lieske (http://victorinelieske.com/); she’s easy to work with and does a wonderful job. Year round, I wear the wife/mom/grandma hat, the chief-cook-and-bottle-washer hat, the cat/dog servant hat, and a few others besides the all-things-author hat. In summer, I also add the gardener hat, the camping prepper hat, and the food-preserver hat. The camping prepper hat is on a lot right now as I prepare for five days of camping with the grandgirls (ages 8, 6, 6) (and without their parents!) in early August. Last year we started what we hope will be a continuing tradition, taking the girls camping with my husband’s family, which means a whole lot of second cousins and even a third cousin. I expect there to be 11 kids (ages 9, 8, 4×6, 5, 4, 3, 2, and 1… 9 of them girls) so we all plan some activities for all/most of them as they travel around the campsite in packs. Guess I’d better take off my blog-reader hat and don my author hat, so I have time to wear the camping-prepper hat later today! Hi Valerie! Oh wow, that’s quite a lot of hats! I admire the outdoorsy hats you wear; I’m not much of a gardener or camper. I hope you have lots of fun with your family this summer! I’ve replaced a lot of hats lately! I wear a mom hat, a wife hat, the daughter/sister/aunt hat, and also a friend hat (rather my favorite). My youngest daughter graduated, so I know longer have to wear the chauffeur hat, but do occasionally don the referee hat! I also have a Hearties hat, which I use when planning or attending gatherings of my fan group for When Calls the Heart! Hi Teri! Congrats on retiring your chauffeur hat. ;) Thanks for commenting! I am retired. I read, review books, craft. I have a hubby and four children, eight grandkids. I help lead ladies Bible Study and sing in a small Church choir. Hi Paula! It sounds like you have time to do the things you love. :) Thanks for commenting! Hmm… Mom, wife, friend, sister, writer, reader, cook, housekeeper, dog walker… Now that my boys are grown I find they call for recipes, and to simply talk, which I find very enjoyable. Hi Kimberly! I love how your boys call you up just to talk. :) I look forward to that one day. Thanks for commenting! Loved hearing about your many ‘hats’ Liwen – seems a common requirement of our lives. and I’ll stop there as I have to do some more sampling !! Hi Faith Hope & Cherrytea! It’s good to bump into you again. :) Oh, the sampling hat sounds yummy! Thanks for commenting! Hi Walter! Thanks for the reminder that the days are long, but the years are short. I will do my best to enjoy every moment. Thanks for commenting! My life is pretty simple, I am a wife but not a mother… The big hat that is rather new is that of small business owner! Hi Patty! Wow, a small business owner! That takes guts and determination. All the best to you as you embark on this journey. Thanks for commenting! I like your hats, Liwen. I wear mom, pastor’s wife, cook, crafty, and author hats. My author hat only comes out after the family goes to bed in the summer too. Hi Shannon! Good to know another author who’s also a night owl. :) Thanks for commenting! I wear some different hats, but my favorite hat is my aunt Candi hat! Last spring break I had a sewing camp for a niece and two nephews who stayed with us when their parents went on a trip. So fun to get to spend more time with them! I also enjoy the summers when I get to take my in town nieces on nephew on Aunt Candi dates and we go to library events or do something together that they choose like working on a sewing project or building rockets or playing board games. Just investing time in them and letting them know they are special and loved. Hi Candi! Actually, my secret recipe is that I used a mix. ;) I got this one (https://www.scratchandgrain.com/products/cheesecake-brownie-kit) that is very kid-friendly. You can probably find it for less at a store (I got mine at Target). I love your aunt Candi hat! You are making such a lasting impression on your nieces and nephews. I still remember my aunt teaching me how to ride a bike over 30 years ago. Thanks for commenting! 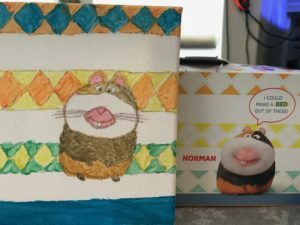 I love those cute projects! Looks like you’re teaching arts and crafts in the summer too. :D I seem to be the airport shuttle driver for my husband during this season. And I’m an art-supply collector on the side. ;) ha ha. Hi Michele! :) Don’t forget artist! ;) Thanks for reading and commenting!